ONGC Videsh Ltd management feels it is not the right time to list the company as a better value can be derived after its giant gas fields in Mozambique and Iran start production in 2022, a top official said Wednesday. The government had last month asked Oil and Natural Gas Corp (ONGC) to list its overseas investment arm ONGC Videsh Ltd on stock exchanges and transfer proceeds to it in the form of a special dividend, helping meet its disinvestment target, according to a letter written by DIPAM. "We don't think it is the right time to list as projects are in development stage," he said. An initial public offering (IPO) will get the best value when these projects are monetised, he said. OVL's giant gas field in Mozambique will start production sometime in 2022 when two LNG trains of 12 million tonnes per annum capacity are set up and gas exported in cryogenic ships. Its Farazad-B gas field in Iran is on hold in view of US sanctions on the Persian Gulf nation. Also its Venezulean oilfields are producing much less than their potential, he said. The official said the company has not yet communicated its views to the government and would do that after getting a third party analysis. According to a letter the Department of Investment and Public Asset Management (DIPAM) wrote to ONGC management, the listing of ONGC Videsh Ltd (OVL) would help unlock value by improving its corporate governance and efficiency. 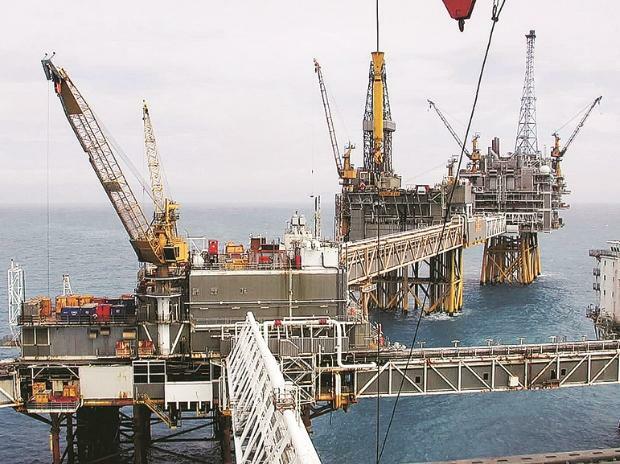 ONGC had helped the government meet its disinvestment target last fiscal when it bought a 51.11 per cent stake in state-owned Hindustan Petroleum Corp Ltd (HPCL) for Rs 369.15 bn. After failing to find a buyer for Air India, DIPAM is again looking at ONGC to meet the Rs 800 bn revenue mobilisation target set out for it in the Budget for 2018-19 from the sale of government stake in PSUs. As on July 5, 2018, the government has realised Rs 92.19 bn as disinvestment proceeds against the budgetary target of Rs 800 bn, according to DIPAM. OVL, which is 100 per cent owned by ONGC, has so far invested Rs 1.5 trillion (USD 28.36 billion) in 41 projects it has across 20 countries. In the letter, DIPAM said PSUs with a positive network and no accumulated losses should be listed to unlock value. It, however, did not state how much stake in OVL should be sold for its listing. Market regulator Sebi calls for a minimum 25 per cent public float for a listed company. Officials said proceeds of the listing of OVL would accrue to its parent ONGC but the government would seek a special dividend to reap that. The government owns 67.45 per cent in ONGC. If ONGC were to declare entire proceeds of OVL listing as a special dividend, the government would get 67.45 per cent of it. The government had in 2015 as well asked ONGC to list OVL. But the state-owned firm had at that time told the government that it was not the right time to list as oil prices were subdued and the company would not get the right value. Under its portfolio, OVL has reserves of 711 million tonnes of oil and oil equivalent natural gas. In 2017-18, it produced 9.35 million tonnes of crude oil, up from 8.43 million tonnes in the previous year. Together with natural gas, the output was 14.16 million tonnes of oil equivalent, up from 12.80 million tonnes in the previous year. ? It reported a net profit of Rs 9.81 bn on a turnover of Rs 104.18 bn in 2017-18 fiscal. This compared with a net profit of Rs 7 bn on a turnover of Rs 100.8 bn in the previous fiscal. It had reported a net loss of Rs 36.33 bn in 2015-16 due to a sharp drop in oil prices.